When you don’t have much space and the weather is violent, container gardens can be the perfect option for a bit of homegrown produce. When venturing into any gardening technique, a few tips from a seasoned professional is essential. Edible container gardens, when done right, can be a fun, convenient, and attractive way to grow vegetables, herbs, and even a few fruits. 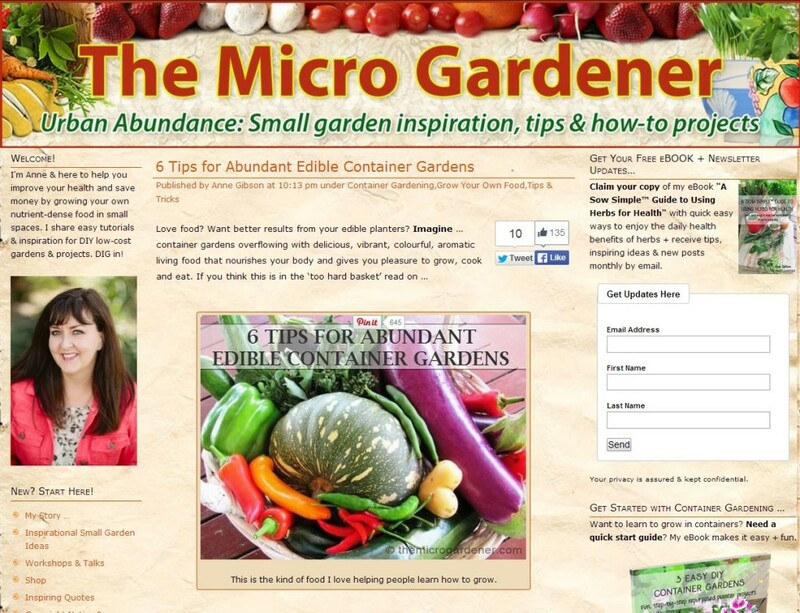 The Micro Gardener is the content-rich blog of Anne, gardener and small-space-genius. Want a way to grow without the space of a micro-farm? Container gardening might just be the answer.